The FX Original miniseries Taboo is only 8 episodes in total, so it's interesting to look at it as being a quarter done already since it feels like just yesterday I saw the first advertisement for the show and wondered what the hell it was. - Tom Hardy absolutely makes and saves this series from being a slog. When he is in the frame, it's impossible to look away but pretty much everything else going on is, frankly, uninteresting at this point. - Some scenes are incredible, but the problem there is "some". 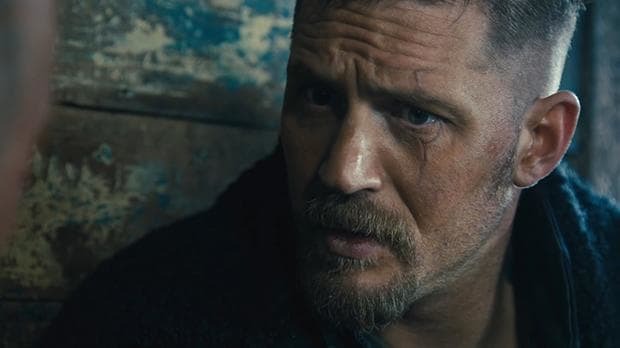 The incredible is the minority, because far more of this second episode just kinda drifted along on the ever-building intrigue and the presence of Hardy. - The best scene in the episode was when the will of James Delaney's (Tom Hardy) father was read in a crowded room. Hands down, the whole atmosphere of that moment was top notch and it stood out in the midst of a rather lackluster overall affair. - Performances continue to be great although I am never exactly blown away by the script they are working with. - There has to be something special in the works going forward, right? It just feels like there is going to be so much more to Taboo that redeems a bit of the struggle to set it all up through 2 episodes. If it is going to get better, it should get on that soon because as I said at the start, we are 25 percent done with the entire series here. Hope episode 3 is an awaken of a series with a lot of potential that just isn't maximizing it yet. The Small Screen: The Young Pope "Episode 4"
The Small Screen: The Young Pope "Episode 3"
The Small Screen: The Young Pope "Episode 2"
The Small Screen: The Young Pope "Episode 1"